The question of how many credit cards to have is one that doesn’t have a one-size-fits-all answer. For some people, it’s a case of the more the merrier. Others prefer to have just one or two credit cards they use for everything. 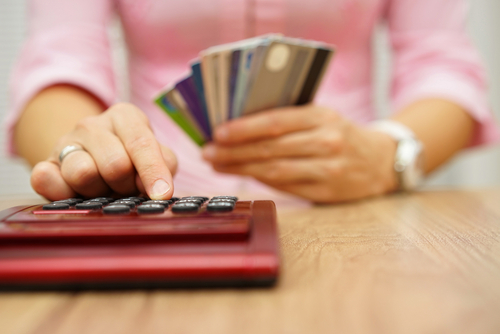 The average American has about four credit cards. But whether you like to carry one card or as many as you can fit into your wallet, there are three credit cards that absolutely everyone ought to have. These aren’t specific cards—we’re not going to tell you that you’ve got to have an American Express Black card, or a Discover cash back card, necessarily (although both are good cards). Rather, these are three types of cards that everyone should carry. They can be from any issuer and offer different types of terms and rewards. The key is in how you use these three cards. Read on to find out which three cards we think are must-haves. #1: An everyday card. This is your go-to credit card that you’ll use for most of your expenses. Online shopping, paying for gas, buying groceries, even setting up automated payments for phone bills and other utility payments: this card can do it all. Your best bet is to make sure this is some type of rewards card that gives you miles, points or cash back for every dollar you spend. You’ll also want to make sure that this card is widely accepted. Something like a MasterCard or a Visa card is a reliable choice, because they are nearly universally taken wherever credit cards are accepted as payment. Your everyday card will get the most use, so make sure it has a low APR, and preferably, perks like concierge service and purchase protection. #2: A card for traveling. Whether you travel a little or a lot, it’s a good idea to have a credit card you use specifically for your adventures away from home. Find a card that has no foreign transaction fee, so if you travel overseas, you won’t pay extra for pulling out the plastic. A travel rewards card often gives high-value perks like frequent flyer miles and hotel rewards points, so if you use it often enough, you’ll be able to enjoy free flights and hotel stays as well. Think about whether getting a travel credit card that charges an annual fee might be worthwhile for you. Some people are shy to get a card with an annual fee, but the truth is, these cards offer the best rewards. Make sure your designated credit card also offers travel insurance and car rental insurance as well. #3: A card for emergencies. The last card you need is a card earmarked for emergencies. Keep this one put away and only use it enough to keep the account active. Make sure it has a limit of a few thousand dollars, ideally, so that in case of emergency, you’ll be covered. A low APR is a big bonus for your emergency card, so that if you end up using it and needing to pay it off over time, you won’t get socked with high interest charges. You may well want to have more than three cards. You can have multiple cards for everyday use, travel, and even emergencies. But if you don’t have anything else in your wallet, make sure you have at least these three cards.